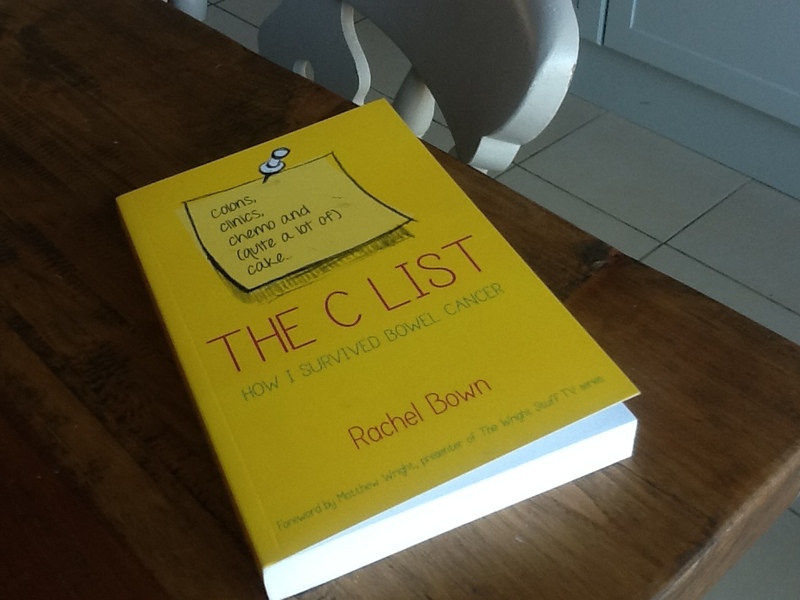 This entry was posted in Bowel Cancer, My cancer story, Uncategorized and tagged bowel cancer, Cancer, Publishing, The C List by bananagiraffes. Bookmark the permalink. My mate Andy Blackford sent me this. I am constantly surprised by the sheer richness of things. And synergy. I have to buy your book and keep it with ‘Ink in the blood’ and ‘Cancer ward’ for the next time I need my various cancers checking out or I confound medical science by inventing a new one, and I can have good books on my bedside locker. You’ve got publishing pinned on your board like a moth…..especially the bit about the very last hours of a years long process. Anyway…you’ve put a huge smile on my face. Ta. Congratulations on being published – it clearly is no mean feat, especially in this rather niche genre.